Are you ready for THE Narendra Bhawan Experience with me? That dear reader is the essence of my personal luxurious experience as a guest of Narendra Bhawan, in Bikaner Rajasthan. And not just mine, this is the personalized experience that every single guest at Narendra Bhawan gets. 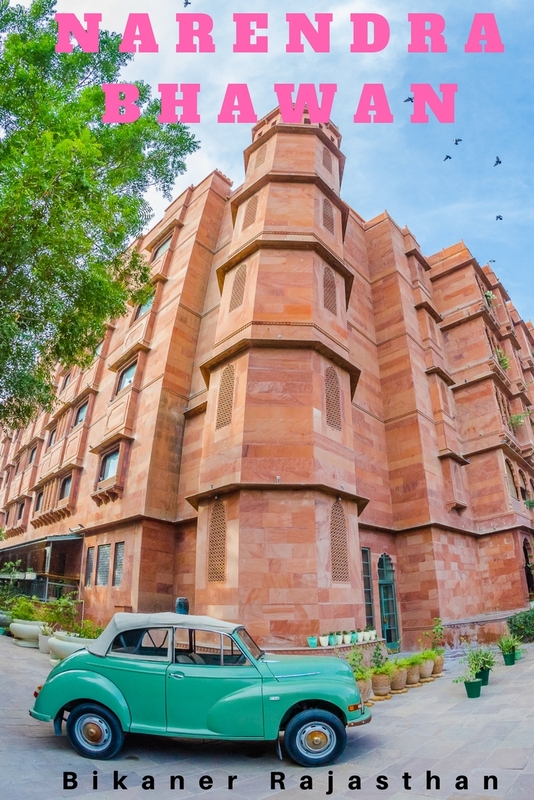 As per Siddhartha, the VP at Narendra Bhawan, the philosophy is very simple, each and every guest is considered a Royal Guest, and a Royalty decides their own schedule. True to the philosophy the folks at Narendra Bhawan make sure that you get a personalized luxury experience where you are pampered like a prince and taken through experiences that make your stay memorable for a long time to come. 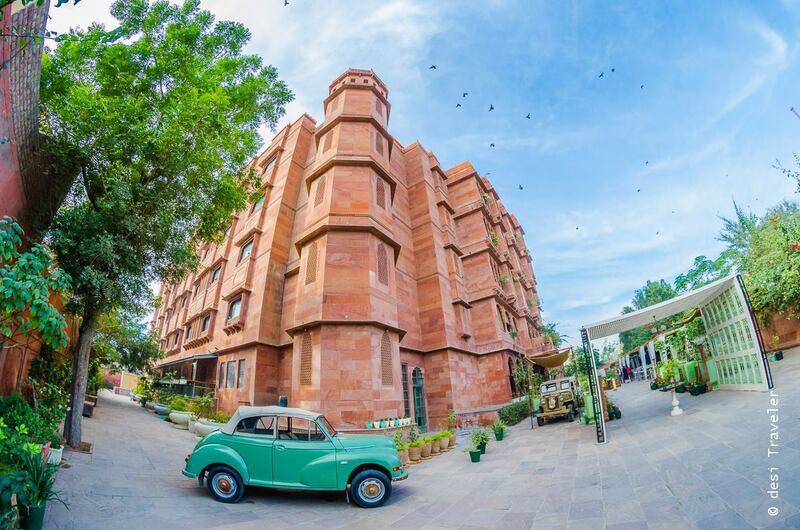 From the time we were picked up at the Bikaner Airport that has daily connecting flights to Delhi we were for some great time in Bikaner after all we were to stay at Narendra Bhawan. Narendra Bhawan Bikaner > Click here to see the Narendra Bhawan in the night. 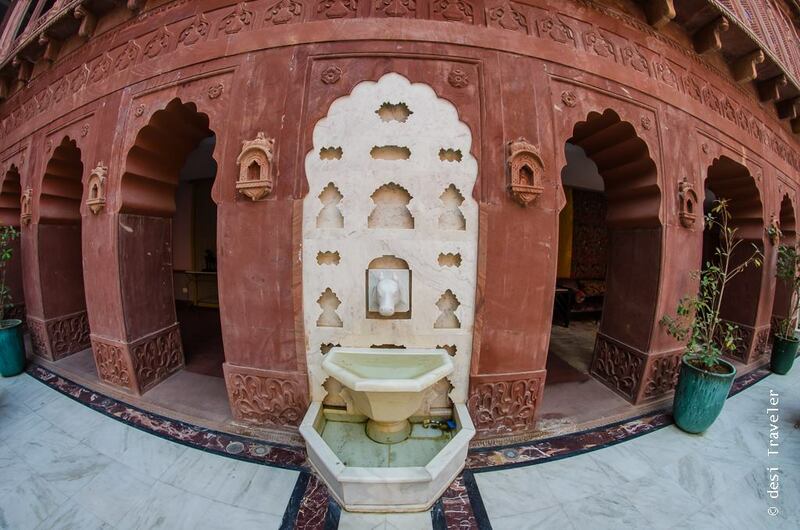 Bikaner was one of the most prosperous princely states in India and was ruled by the Bikaner Royal Family. 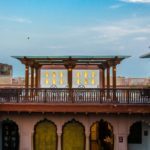 The city prospered in one of the biggest cities in Rajasthan and was one of the first princely states in India to get electricity. After independence Bikaner state was also merged in India along with other princely states. Narendra Bhawan Bikaner was the residence of the last Maharaja of Bikaner – Maharaja Narendra Singh jee, and I say residence because it has a more personal touch, and as the king had a bigger palace close by _ Lakshmi Niwas Palace where we had a Royal 7 course lunch ( or maybe it was 9 course but who was counting ? 🙂 ) . But Narendra Bhawan is where the king actually lived and that is what gives it a special charm. 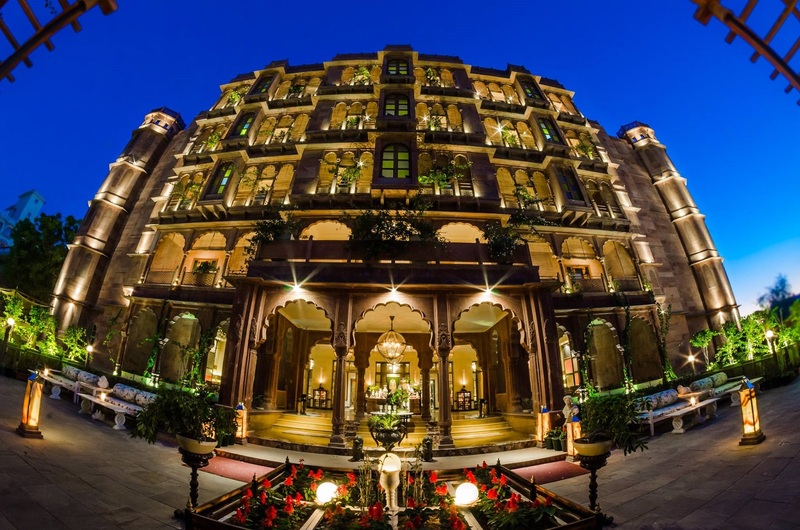 The present Narendra Bhawan Hotel was refurbished and restored keeping in mind the times, life and philosophy of His Highness Maharaja Narendra Singh Jee. 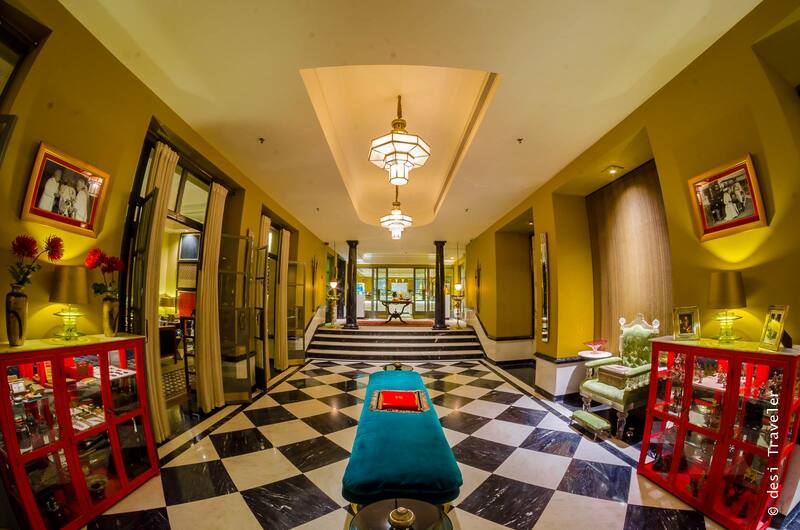 The current hotel was painstakingly restored and modern amenities were added to welcome the guests. 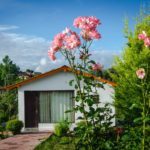 So while you are cocooned in the hospitality and luxury of an era bygone you are never going to miss any of the modern amenities you are used to. So what is Narendra Bhawan Experience Like? 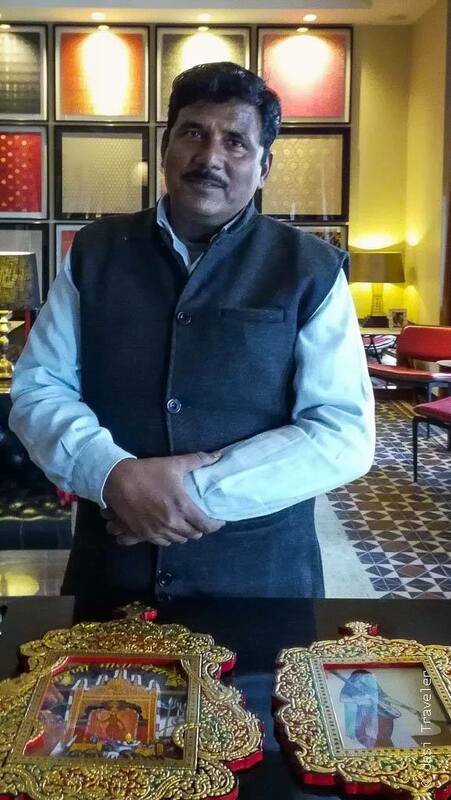 Like I mentioned earlier, being a guest at Narendra Bhawan is like a personal Royal Guest of a King. 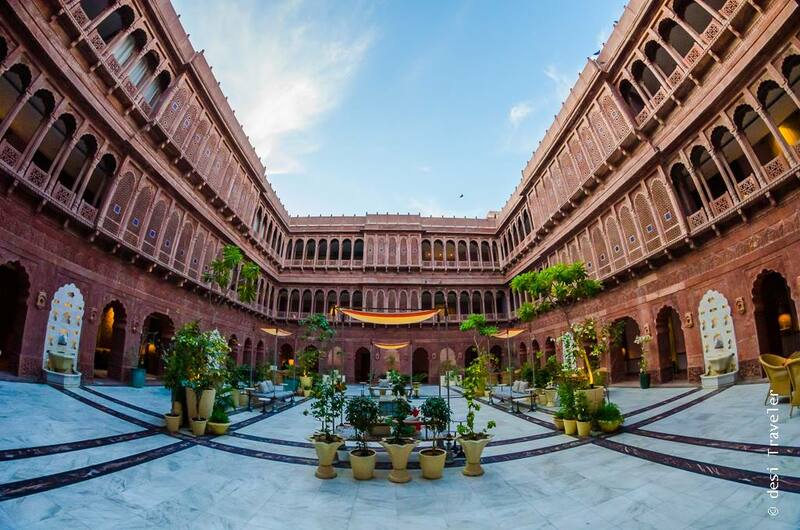 Now you may arrive in Bikaner with your own agenda but if you really want to enjoy your visit to Bikaner in true Royal Style then let your own agenda go, and let the folks at Narendra Bhawan curate a personal experience for you. Trust me these guys know how to make each and every experience special. 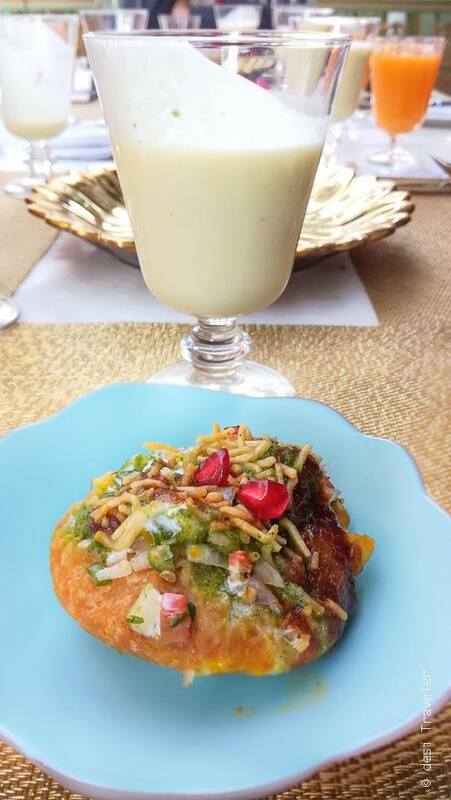 From breakfast, the pampering starts and you typically start the day with a heavy dose of Bikaneri Kachori. 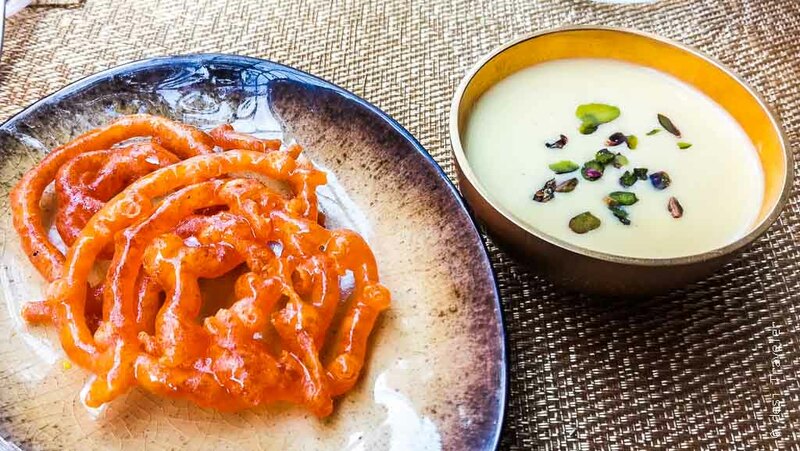 Yes Sir Bikaner is the city that consumes the maximum number of Kachories in the world per capita and all the yummy namkeens you have in India that are called ” Bikaneri Namkeen” they all trace their roots to Bikaner in one form or another so you know what treats you are upto. 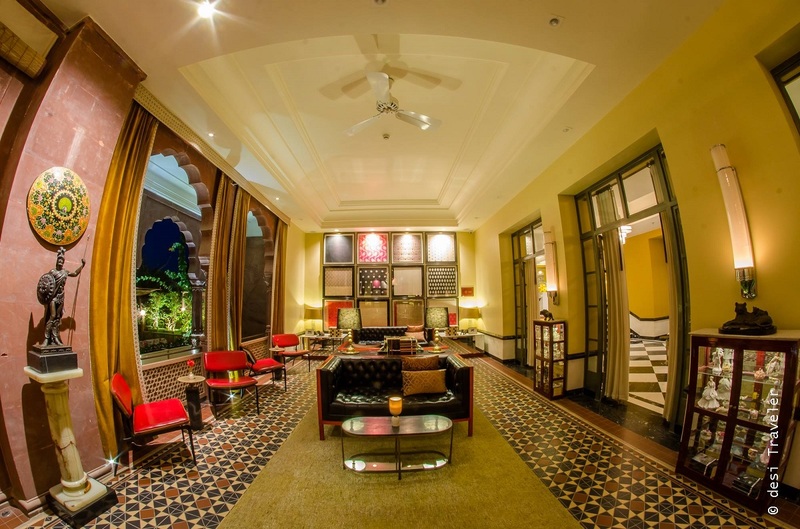 But the Narendra Bhawan Experience is not just confined to the physical walls of the hotel, it extends beyond the physical realm of Narendra Bhawan and is all about how they show you the Royal Rajasthan, Maharaja way. 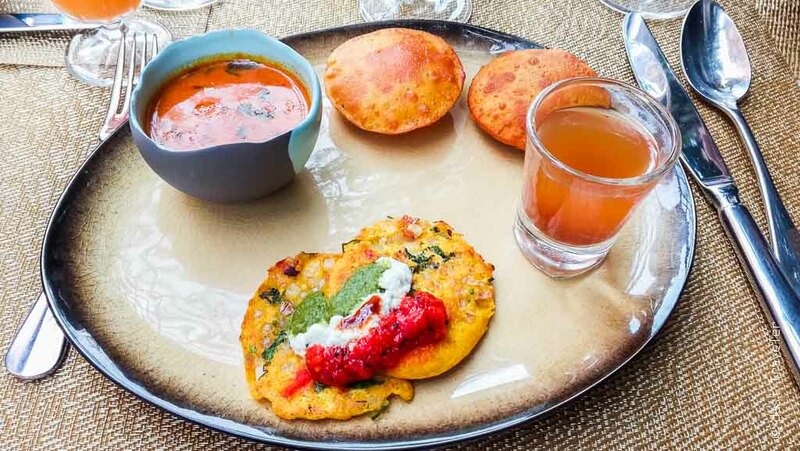 The lunch can be an elaborate affair if you are going to the Lakshmi Niwas Palace nearby. You are treated to a 7 course ( or was it 9? 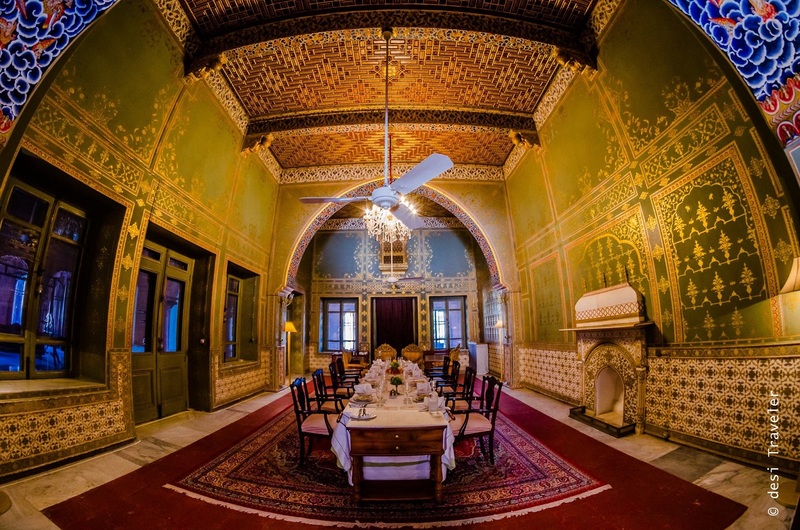 I forget again ) meal that goes back to the times of Maharajah Ganga Singh jee who liked to entertain his royal guests in the very room you are sitting surrounded by almost 50 KG of gold work on the walls around you. But being surrounded by 50 KG of Gold is only part of the story. 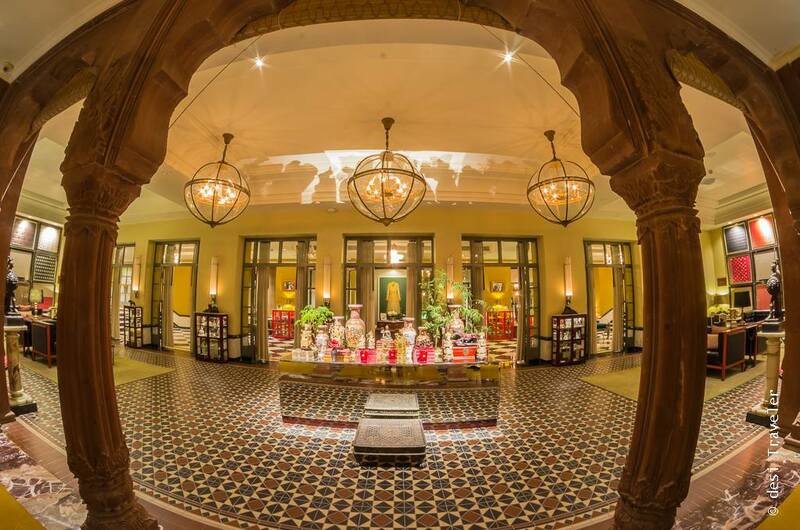 Oh, the goosebumps I got to be in the same room where once a Maharajah dined with his guest and being treated like one of his guests is what makes the Narendra Bhawan Experience so special. 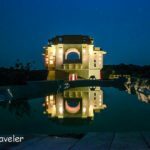 For us, the Narendra Bhawan experience continued in the evening when we were invited to Ratadi Talai Sundowner, a curated experience in the middle of nowhere, but with everything, you may want for an evening. A musician playing soulful ragas on his flute, some sand dunes forming the backdrop of white tents and a lake that reflects the stars.. As the night progresses shimmering candles create an illusive world of light & shadows, a bonfire keeps you warm and the flowing wine makes you recount stories that were never told before. But tonight under the stars, all elements come together to the tunes of Mohan Joshi’s flute and the raconteur hiding in your innards sheds his inhibitions & a night of storytelling starts. Oh, how many stories should I talk about? The blindfolded dinner in a private dining room at Pearls and Chiffons or P&C the restaurant themed on the era when Pearls and Chiffons were the ultimate fashion statement. Or should I talk about the Writers Menu lunch where each dish is announced poetically by reading a paragraph from a book from where it is inspired from? Or maybe I should write about the countless priceless genuine artifacts that are spread across Narendra Bhawan from crystal chandeliers to Red Pianos to interacting with local artisans who are keeping the traditions like paintings, making sherbets and artwork that can be used in daily use alive? 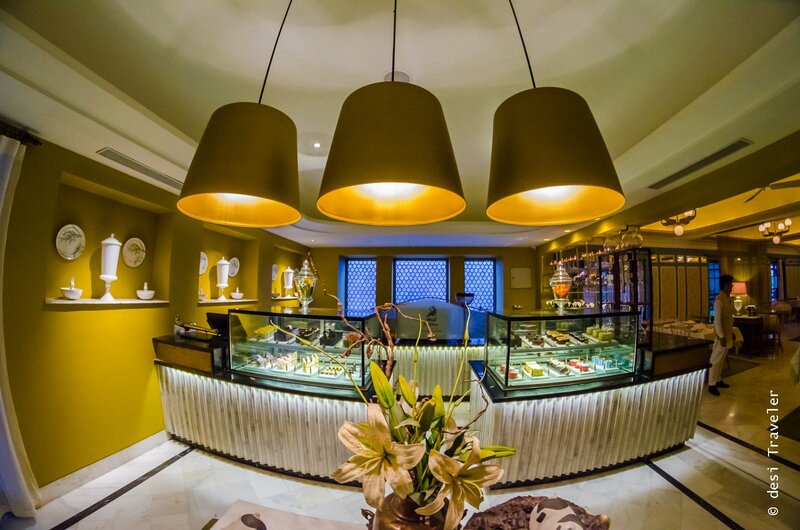 The Mad Hatter – The Cake Shop straight out of a fairytale can you guess which one? 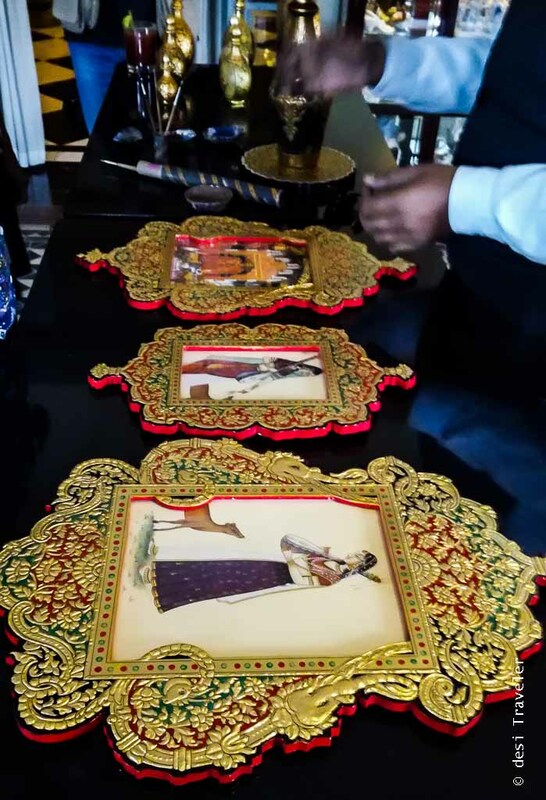 In most hotels you will find a curio shop, well Narendra Bhawan takes the concept a step further and brings local artisans to you where you can learn about the arts and crafts of Bikaner estate that a few families are taking forward. During my stay, I learned about the special Bikaner Sherbets, the art of making paintings that literally cost their weight in gold and interacted with some folk singers during a visit to the museum. The Artist Ajmal Usta ji. Note: I was invited by Narendra Bhawan as a travel blogger. 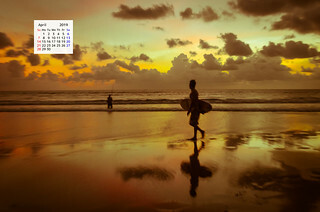 Low-resolution images are used in this post for faster uploading. Firstly, thank you so much for this detailed post about Narendra Bhawan with such beautiful pictures. We are honored with such appreciation. We hope that you enjoyed yourself a lot, and will give us another chance to host you in future. 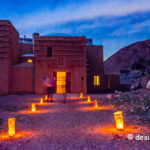 The luxury hotel experience is beautifully described and the description includes all the activities done be it the blind folded dinner or getting to know about the local art and craft. 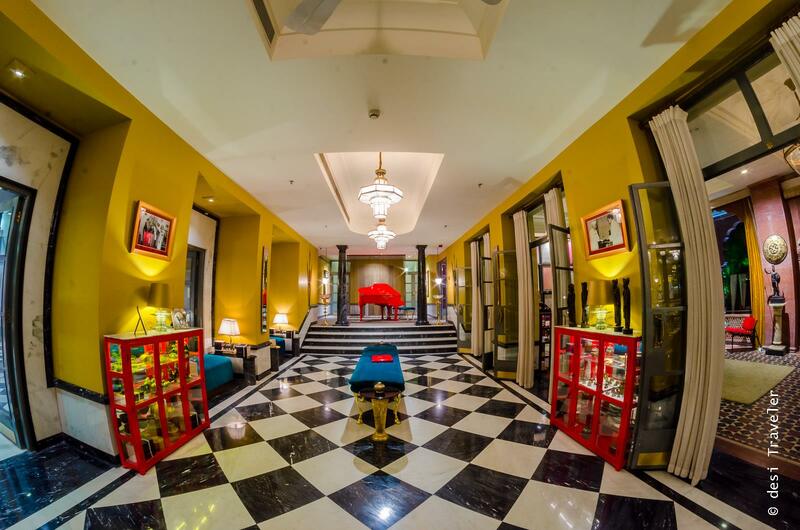 I was amazed by the view of the hotel that is beautifully captured in the lens of the photographer. 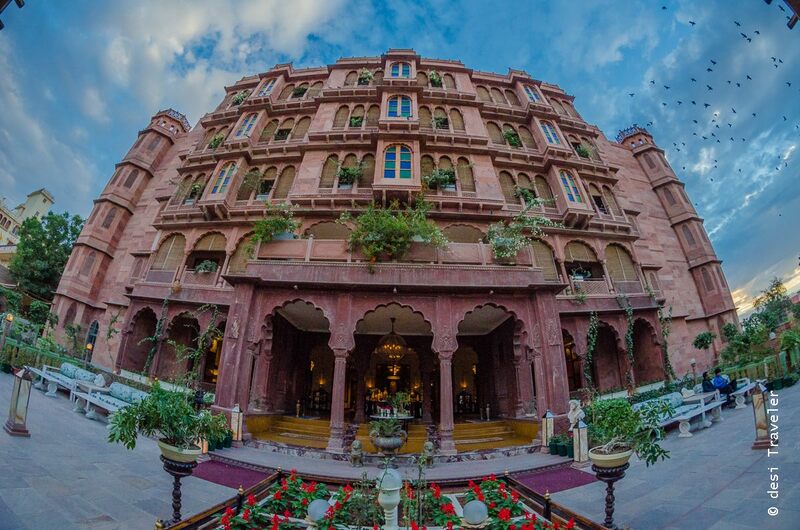 The delicious cuisines, royal lifestyle glimpse and the folk dance and music give the glimpse of the culture and heritage of Bikaner to the tourists. Quite informative! Hahahah getting breakfast when you want to is something that I always dream of… By the way have you thought of correcting the distortion of your Wide Lens click. I also click using Wide lens and usually straighten things up except for those dramatic shots for which I always prefer to keep the distortion. 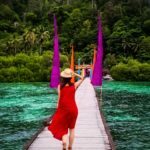 What a crazy experience – sitting on a dining table 5-6 hours every day! But I loved it! What opulence! A royal ‘wonderland,’ I can see. The food also sounds very interesting. What an amazing and extremely interesting place! Thanks for sharing. Some great photos… especially of the food! Haha! Great to read about Narendra Bhawan. Amazing.